One of Budapest’ s specialities are of course the baths. 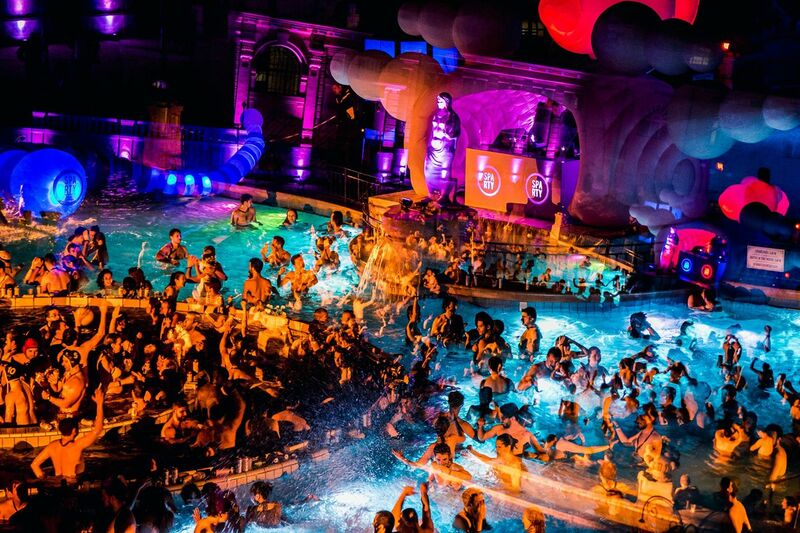 No wonder why this also means that the Budapest New Year’s Eve bath party at the famous Szecsenyi Bath is in demand. Here are a few advices: do buy the ticket in advance, because it is guaranteed that they will sell out soon. Make sure to have something on, as they are not like German spas, where the dressed code is naked.